Feb 04, 2017 at 08:05 PM | 231 Views | Last edit Feb 06, 2017 at 06:12 PM 3 rev. I did all the configuration mentioned in the article Reporting on ODP. 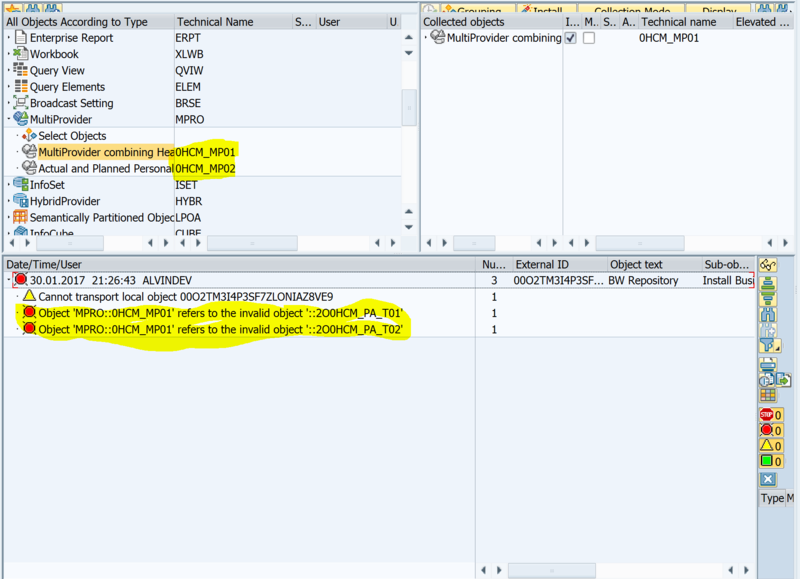 But I am not able to find the ODP’s other than HR module in the BSANLY_BI_ACTIVATION T-code. I tried to find Logistics ODP’s but couldn’t find them. I would like to insert few screenshots of the errors which I faced during the whole process. While trying to activate the BI Content bundle, I am getting errors like. So I went to install and activate the Business content in RSOR for 0HCM_PA_T01 and 0HCM_PA_T02 and also for Multiproviders 0HCM_MP01 and MP02. While installing I am getting the following errors. Please check the image below. I am not able to find out what the problem is. What are all the steps to do? Can you please explain me the flow? My idea is –> 1. first we need to activate the BI content necessary for reporting. 2–> Once activated they are found in RSRTS_ODP_DIS. Is that correct? What does SFW5 do here? I am almost there but I am not able to understand the flow properly. 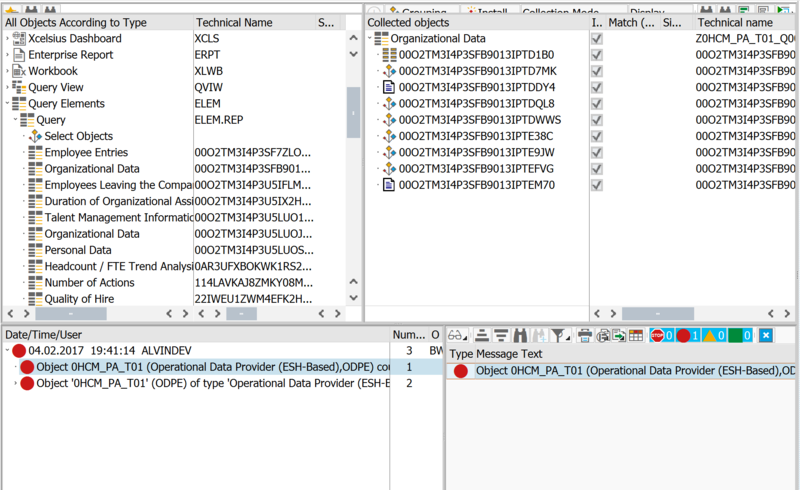 ECC Datasources–> extractors–>setup tables–> PSA in BW–> DTPs –> DSO–>cube–> Multiprovider–> Bex reporting. Like this what is the flow for ODP reporting? Please explain me. I am trying to find the fixes but I am not able to. Hi @sriramvijay.ravidoss please comment on this! Did you get any resolution for this issue? I am also facing exactly same issue .